Period blood clots, smell and colour. What your period is telling you. When I first started getting my period and experienced the many joys that came with each cycle — bloating, moodiness, being awash in what felt like gallons of blood — it was hard to remember that as a vital component of my ability to reproduce, my period actually had an important purpose. As I got older though, I began to appreciate the regularity of my cycle. I felt reassured each month that my body was in sync. 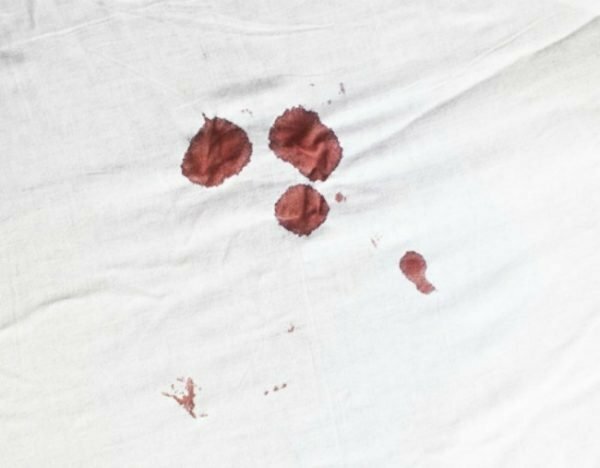 And in fact, it’s not only menstruating that can be an indicator of general health, but your actual period blood (and the colour isn’t the only thing you should be paying attention to). “The blood flow amount, consistency and colour of the period have a lot to say about your overall health and wellness,” says Dr. Sherry A. Ross, Women’s Health Expert and Author of she-ology. The Definitive Guide to Women’s Intimate Health. Period. In fact, Dr. Sherry explains that changes in menstrual blood can often be the first indicator that something is awry with your health, pointing to medical conditions such as thyroid disease. This is what your period would look like if they were a person. AKA the absolute worst. “It’s important to know [that] some of the changes in the normal flow including a heavier or lighter menstrual cycle have the same list of potential causes,” says Dr. Sherry. When your period lightens up, that can feel like a good thing (it’s nice not to be drowning in a monthly tide of crimson, right?) But there are a lot of reasons why your flow might be lighter, including birth control meds, pregnancy, or huge amounts of exercise. Blood. It’s red, right? Well, yes — but think of your period blood as more of a rainbow-type-situation. “In the beginning of a normal period, blood tends to be bright red in colour and as the bleeding comes to an end, the colour will appear brown or black,” explains Dr. Sherry. There’s also brown spotting, which Dr. Sherry says should be checked out by your health-care provider “to make sure you do not have a hormonal imbalance or an ovarian cyst.” One colour that should definitely not be on the period blood colour spectrum is grey; greyish period blood can be a sign of an infection or miscarriage. Who hasn&apos;t woken up to this view? Image via Getty. Menstrual blood does not smell like the latest celebrity-endorsed fragrance, nor should it. This is your body we’re talking about, not a perfume sample out of a magazine. Having said that, if your period blood smells bad, you should pay attention. And there’s a range of “bad,” from a fishy smell to just plain foul. The causes can vary but include not changing your tampon or pad or an infection that can range from from common (like an STI) to extremely serious (such as one caused by a retained tampon). If you notice an odour, run it by your provider (but do not douche — far from being helpful, douching can actually cause infections!). Women know that the consistency of their period blood isn’t the same as the blood that flows from, say, a cut on the finger. “The consistency of the normal menstrual blood will be watery and stringy or fibrous,” says Dr. Sherry. This post originally appeared on SheSaid and has been republished with full permission. Here&apos;s what the colour of your period blood means. 9 hacks for a pain-free period. It&apos;s 2019. Can we stop pretending tampons don&apos;t exist.